Down to 171 players in Day 2 WPT Rolling Thunder $3,500 Main Event. Up to 89 entries in Event 3 - $1,100 with $500 Bounties. 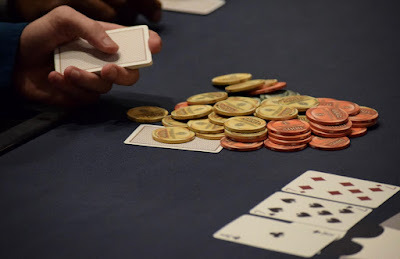 There's also a $100 satellite at 7pm, winners receiving seats in to tomorrow's $560 Action8 - 8-handed play, antes from the first hand, unlimited re-entries in Action8.